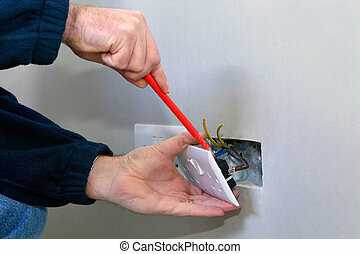 Close-up of electrician work. 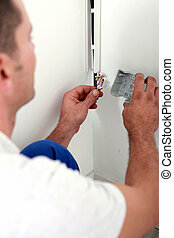 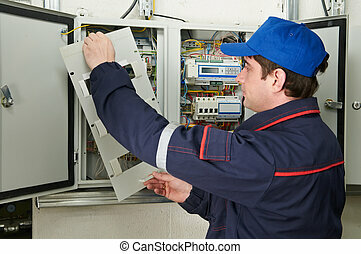 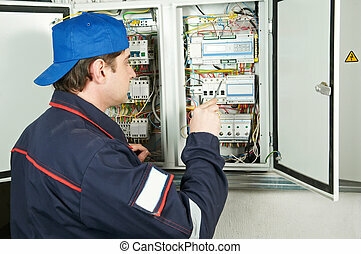 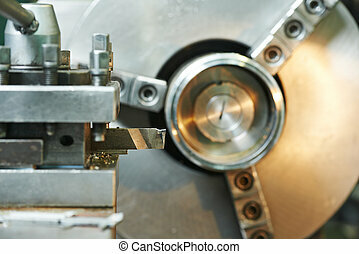 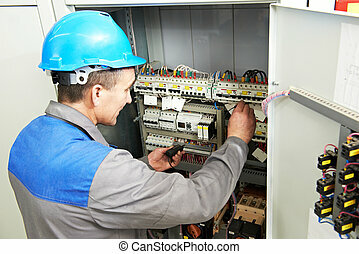 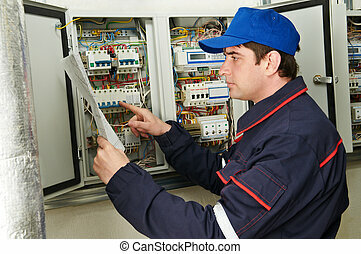 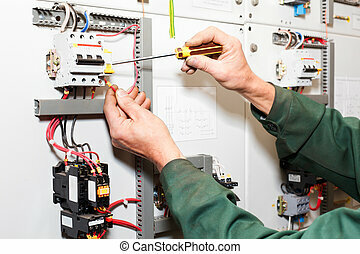 Close-up of electrician work on a industrial panel mounting and assembling new wiring. 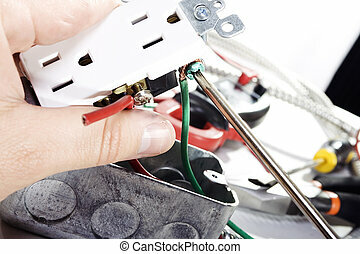 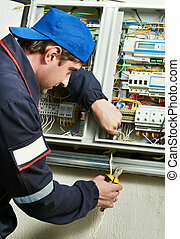 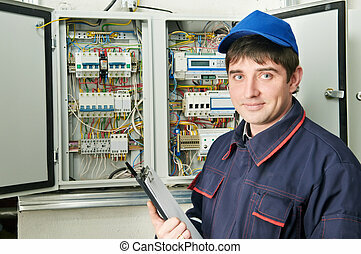 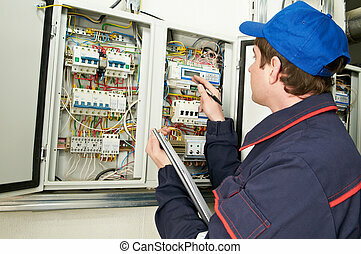 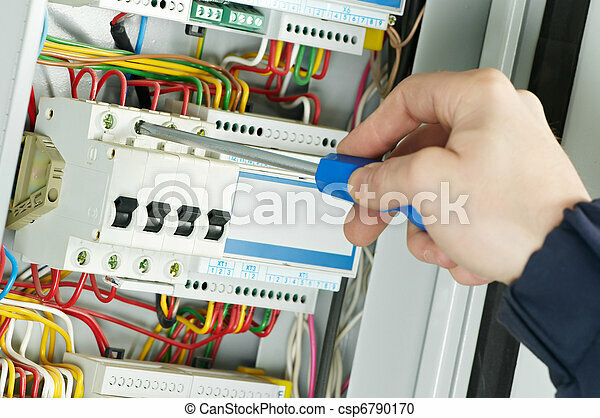 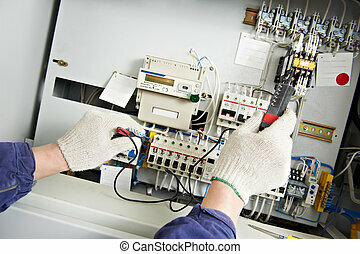 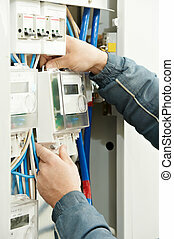 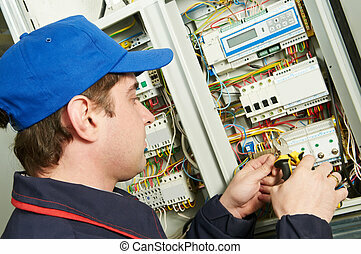 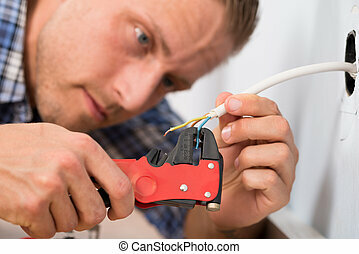 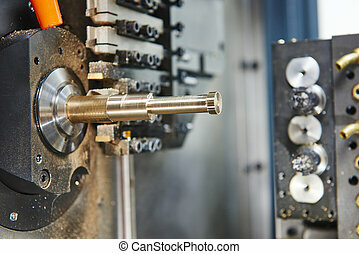 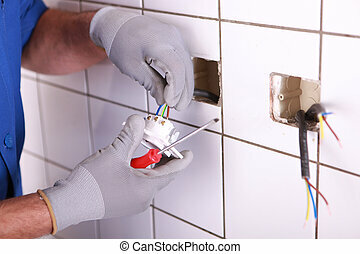 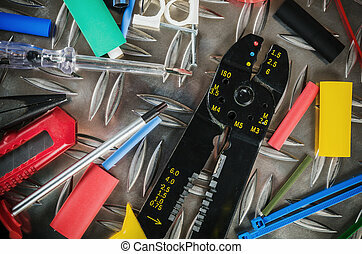 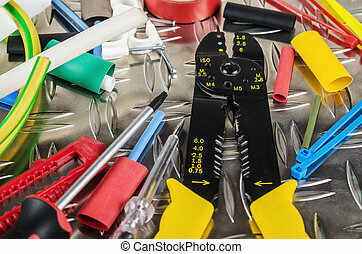 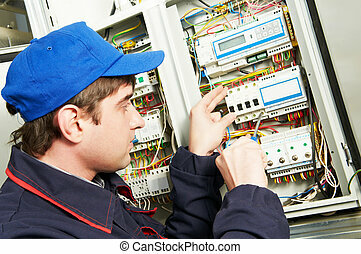 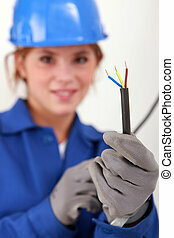 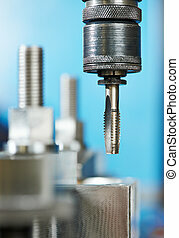 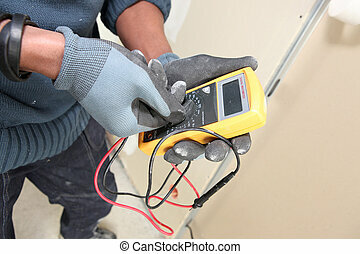 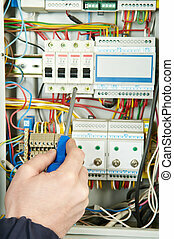 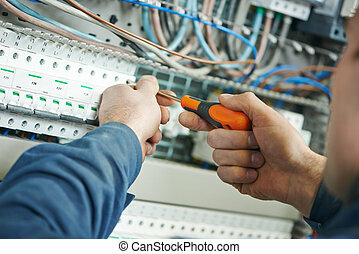 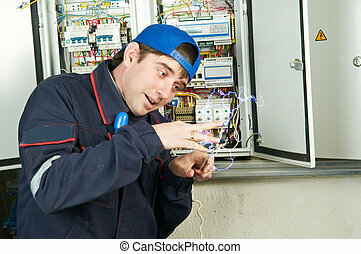 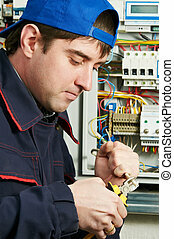 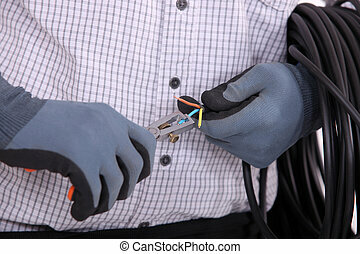 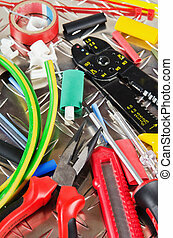 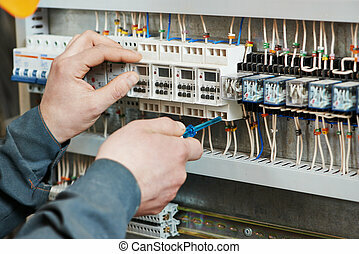 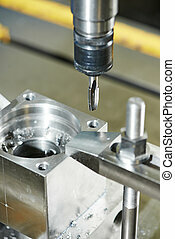 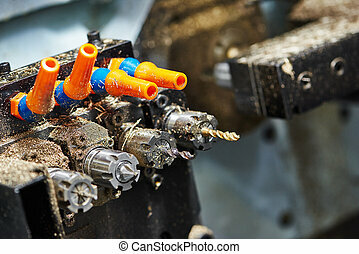 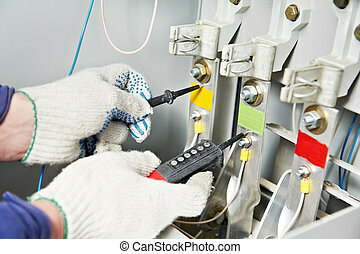 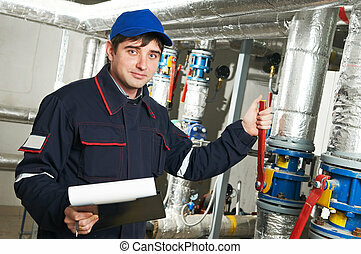 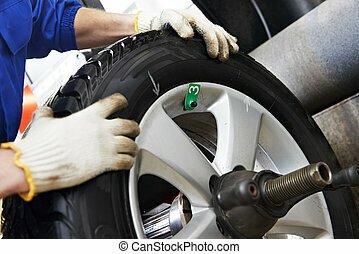 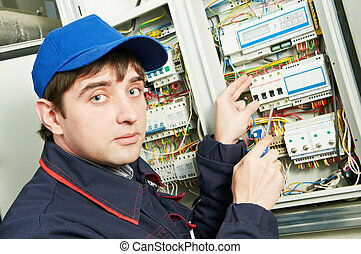 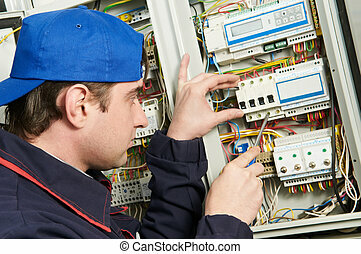 Electrician`s hands working with screwdriver in cables and wires. 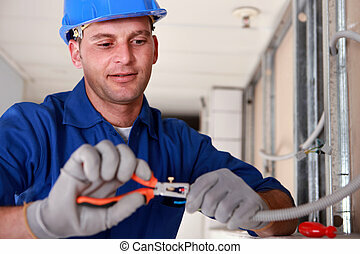 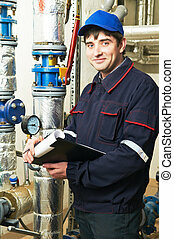 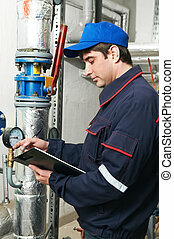 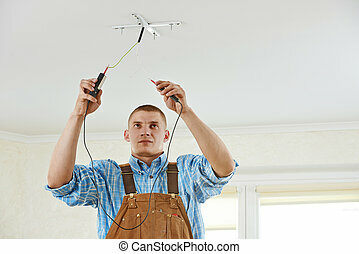 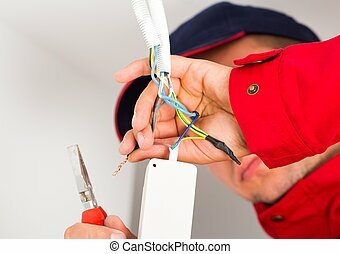 Electrician installing power supply on wires hanging out from flexible tube.